Max Gibson and I met serendipitously when my COLORBLAST pieces were just in sketch book form. I was flattered (and felt super shy!) when he stumbled on me working in my sketch book. That was back in August. Since then those sketch book images have evolved into this growing series that now includes note cards (available soon on Etsy), and some other surprises in the making. 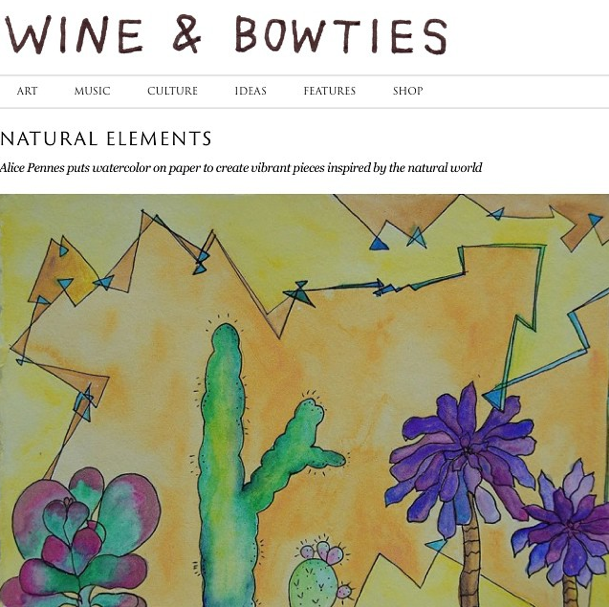 Now in November I am excited to be featured on this awesome Oakland based arts & culture blog Wine & Bowties. In this interview Max asks me thought provoking questions that allowed me to reflect on how my art imitates my life. I am so grateful to be asked questions about my work that make me think about the things behind this series. 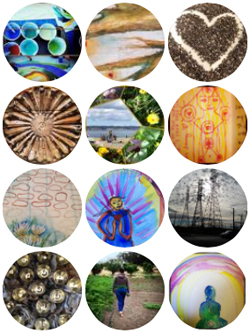 Please check out the feature for an in depth look behind the bright colors and for the image collection. To learn more about Max Gibson, aka Dispo Max check out his bio at the bottom of the feature. Oh no, the link doesn’t work.